The Boxer is a set of 2 round, design tables that differ in height. The tables can be used separately or by overlapping each other. The Boxer is available from stock and will be shipped within 24 hours. 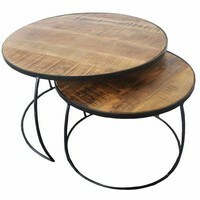 The Boxer Coffee Table (set of 2) can be pushed under each other due to the different heights and the open frame. The special feature of this set is the frame, the separate shape creates a unique piece of furniture. 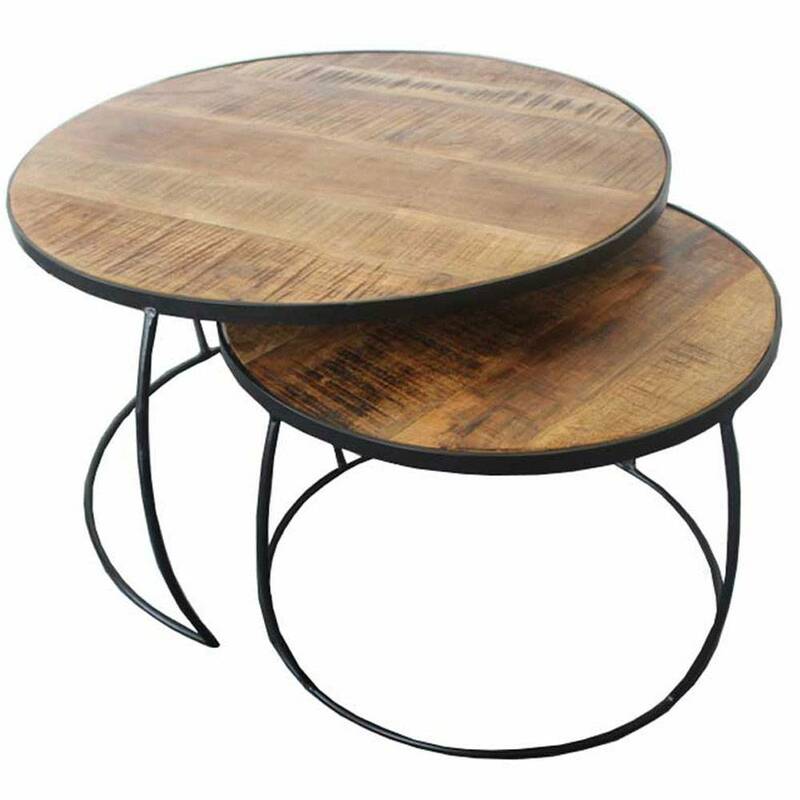 The tabletop is made of durable mango wood, mango wood has fine grain and the neutral color circuits in the wood do not make any leaves the same. The boxer will be an eyecatcher in every room. The frame of the table boxer is unique, which is very nice when you place the tables separately but also when they stand together it is a whole. They both have a black powder coating. The Bloom side table is assembled. delivered After unboxing it is ready for use.